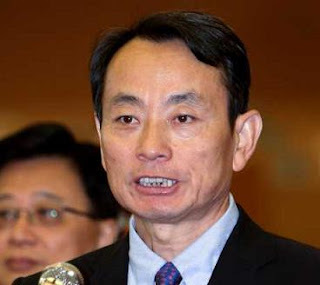 Jiang Jiemin, former head of the State-owned Assets Supervision and Administration Commission, was sentenced to 16 years in prison today by a local court in central Hubei Province. Jiang, 60, was found guilty of taking bribes, holding huge amount of property with unidentified sources and abusing power. His personal assets worth 1 million yuan were also confiscated, the Hanjiang Intermediate People's Court said. Jiang was chair of the board of China National Petroleum Corporation (CNPC) before working for the state-assets commission in March 2013. The court also ordered to confiscate other property he took as bribes or with unidentified sources as well as illegal earnings others got with his help. Jiang accepted his sentence and will not appeal. The court found that Jiang received 14 million yuan in bribes between 2004 and 2013 to help others get construction contracts and job promotions. By the end of August 2013, his personal and family property exceeded the legitimate earnings and he had 14.8 million yuan unaccounted, the court said.